a-iTrust's 2Q19 DPU of 1.98 Scts (+32% y-o-y) was above expectations. Results boosted by prior acquisitions and interest income from providing construction funding. Under rented portfolio points to higher rental income as leases are renewed. Expected 61% increase in floor area to drive DPU over the next few years. One of the fastest growing S-REITs. 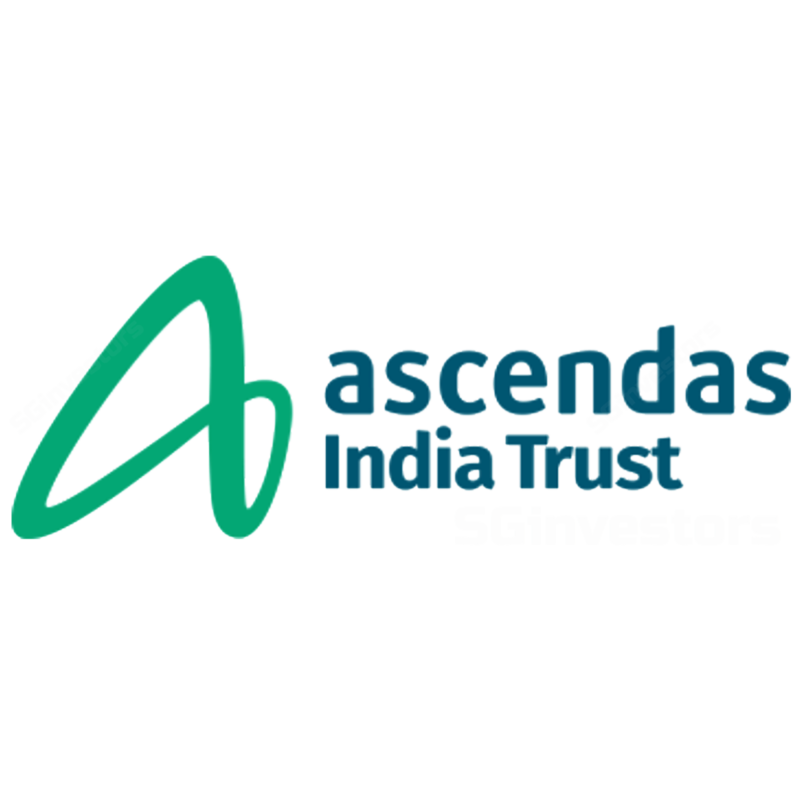 We maintain our BUY call on Ascendas India Trust (a-iTrust) with a Target Price of S$1.25. We believe the expansion into modern warehouses last year heralds a new leg of growth for the Trust beyond its exposure to the already fast-growing business space sector. This acquisition combined with recently announced redevelopments/ acquisitions should translate to an increase of 61% in floor area and underpins 3-year DPU CAGR of 13%, three to four times faster than the average for the S-REIT sector. Where we differ – Above consensus target price. Compared to consensus, we have a higher Target Price of S$1.25 as we believe the expansion into the modern Indian warehouse sector warrants a premium not only from the boost to a-iTrust’s near-term DPU outlook but more importantly, the ability to accelerate medium-term earnings growth. Our confidence in a-iTrust’s ability to execute on its warehouse expansion is due to its Sponsor Ascendas-Singbridge’s strong track record in the Asian warehouse space. Through its untapped landbank and sponsor pipeline, a-iTrust has access to over 5m sqft of floor area. Combined with the recent expansion into the Indian warehouse space which provides for a potential acquisition pipeline of 2.8m sqft, a-iTrust has a visible source of growth over the long term. The ability to execute on these growth opportunities is also supported by its strong balance sheet. The key risk to our bullish stance on a-Trust’s DPU is a significant depreciation of the INR, and a downturn in the Indian economy which will depress rents or delay the completion of announced acquisitions and development projects. Ascendas India Trust (a-iTrust) delivered another strong quarter with 2Q19 DPU growth accelerating to 32% y-o-y to 1.98 Scts, faster than 23% y-o-y increase in 1Q19 DPU. This led to 1H19 DPU of 3.58 Scts (+27% y-o-y) which was ahead of expectations as it represented c.52% of our FY19F DPU. The robust growth was attributed to incremental earnings from the acquisition of BlueRidge 2 and Arshiya warehouses as well as the positive rental reversions achieved in prior quarters. These positive rental reversions we understand resulted in effective rents at the Bangalore, Chennai and Pune properties increasing by 2%, 10% and 11% y-o-y. Furthermore, the trust benefited from higher interest income associated with construction funding for AURUM IT SEZ, aVance 5&6, aVance A1 & A2. This resulted in a 738% y-o-y jump in interest income. While base rents rose 9% y-o-y, similar to 1Q19, overall 2Q19 revenue fell 2% y-o-y. This was due to the removal of the Dedicated Power Plant at International Tech Park Bangalore (ITPB, causing utilities income to fall 29% y-o-y). Nevertheless, 2Q19 NPI rose 4% y-o-y. We note that revenue and NPI were impacted by a couple of one-off items such as c.S$1.3m in gains from the scrap sale of the power plant and c.S$2.6m in provision in relation for water supply and sanitary connection charges at ITPB. a-iTrust’s results could have been better if not for the weaker INR, which fell 8.7% y-o-y. Revenue, NPI and DPU in INR terms rose 8%, 14% and 43% y-o-y compared to that reported in SGD terms of -2%, 14% and 32% y-o-y respectively. Overall committed portfolio occupancy inched up to 97% from 96% in 1Q19 and up from 92% in 2Q18. The improvement was driven by increases at ITPB (96%, of which 93% was physically occupied, versus 94% committed occupancy in 1Q19), BlueRidge II (91%, of which actual occupancy was 84% versus 87% committed occupancy in 1Q19, of which 78% was physical occupancy). Do note significant progress has been made at BlueRidge II where occupancy at the time of acquisition was at 55%. a-iTrust gearing stood at 32%, slightly higher than 31% at the end of June 2018. However, the strength of the Trust’s balance sheet we believe provides the trust with financial flexibility to pursue its growth plans. On the back of terming out some short-term debt facilities, as expected, average cost of debt rose to 6.1% from 5.5% at end 1Q19. Likewise, the proportion of fixed rate debt also increased to 84% from 73%. The trust announced that based on further analysis of its plans for the redevelopment of The V, total leasable area will increase to 3.5m from 3.0m as previously guided. Under Phase I, the total floor area now stands at 1.36m sqft up from 1.20m sqft. Total construction cost for Phase I is now projected to be 5-6% higher at c.S$100m. Construction is expected to commence in 2H18, with completion target by 2H21. We maintain our BUY call with Target Price of S$1.25. We continue to like a-iTrust for its visible development pipeline and favourable near term demand supply fundamentals in its key markets. Its growth plan is expected to result in a 61% increase in total leasable area, and together with a generally under rented portfolio, underpins our estimated DPU CAGR of 13% p.a. over the next 3 years. There is upside risk to our numbers should a-iTrust’s earnings continue to outperform in 2HFY19.